Adam Smith and John Maynard Keynes are two of the most famous economists of all time. Though Smith was against taxes and Keynes was for them, both had the same goal in mind. Both understood that the key to economic prosperity is to keep the money circulating. Marx had failed to foresee what Keynes saw: that government could intervene to resuscitate the economy. Adam Smith and John Maynard Keynes are two of the most famous economists of all time. They are usually thought of as being diametrically opposed, but they did share one fundamental economic insight: Both understood that the key to economic prosperity is to keep the money circulating. One can think of Smith’s An Inquiry into the Nature and Causes of the Wealth of Nations, published in 1776, as an open letter to European monarchs. When Smith was writing, those rulers dominated the planet. Most still ruled by divine right. Their realms were their property, to do with as they saw fit. Smith did engage in microeconomics, analyzing the new way of production that was emerging in Britain at that time. Yet, as the title of his book suggests, his primary concern was macroeconomics. He wanted to explain what made a nation wealthy and how a nation’s wealth could be enhanced. His explanations and recommendations put him at odds with mercantilism, the dominant economic doctrine of the time. It called for rulers to treat the finances of their realms as anyone would treat the finances of their own household: to exert as much control as possible, to take in as much income as possible, and to spend that money judiciously. These rulers were happy to abide by the first two parts of that doctrine. They were not lax in exercising their power domestically, including controlling economic activity. They were both diligent and imaginative when it came to increasing their incomes, especially the part that came from taxes. Their spending, however, was another story. They spent money lavishly on themselves, on wars to expand or defend their realms and on exploratory expeditions with the aim of expanding their territory. A small circle of people profited in that system. Given their propensity to spend, monarchs almost always “needed” more money, even though they taxed their realms to the breaking point. In a sense, then, Adam Smith was the original supply-sider: He argued that lowering taxes and ending other barriers to business, both domestically and internationally, would spur economic activity, sustain prosperity and in the end make a nation as a whole wealthier. Since the wealth of nations determined how much money monarchs could get their hands on, it would be in their self-interest to adopt his proposed policies. One and a half centuries later, the world was mired in the Great Depression. Capitalism had suffered a massive stroke in 1929. Seven years later, when Keynes’s The General Theory of Employment, Interest and Money was published, the world was still nowhere near its pre-Depression level of production. Keynes diagnosed the underlying problem as being a shortage of aggregate demand and recommended that government make up that shortfall by borrowing and spending. The ultimate cause of the Great Depression, according to Keynes, was too much money accumulating in the hands of too few people. 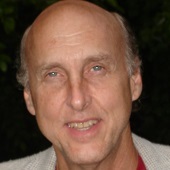 Technically, he analyzed the “marginal propensity” to spend or save based on levels of income. The concentration of wealth is an innate tendency within the capitalist economy. Indeed, that system, before and since the Great Depression, has been one gigantic mechanism for channeling money to the principals of businesses. The Great Depression was precipitated by the infamous stock market crash of 1929. Even after re-investing revenues in businesses, those controlling big businesses — especially holding companies comprised of multiple businesses — still had huge amounts of money on their hands. Like the mercantilist monarchies before them, they spent lavishly on themselves. They also made personal investments on an enormous scale. It was this personal investing, coupled with the leveraging of businesses in holding companies, which caused the mammoth speculative bubble in the stock market that burst in October 1929. As Karl Marx had predicted, capitalism had suffered a series of “crises” which got worse and worse over time, until at last a cataclysm occurred from which the system could not recover. Marx had failed to foresee, however, what Keynes saw: that government could intervene to resuscitate the economy. In Keynes’s analysis, to prevent depressions it would be necessary to prevent speculative bubbles. To prevent speculative bubbles, it would be necessary to prevent too much money from accumulating in the hands of too few people. To prevent that from happening, it would be necessary to have high marginal tax rates on high incomes. Government would act as a pump, collecting taxes and returning that money to the private sector via expenditures. 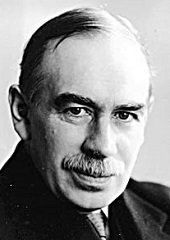 Though Smith was “against” taxes and Keynes was “for” them, both men had the same goal in mind: to keep the money circulating, sustaining a high level of economic activity and general prosperity. Prior to capitalism, money circulated among very few people. In the pre-Great Depression economy, the principal beneficiaries of big businesses were monetary sponges. Today, big businesses are themselves monetary sponges. It is commonly estimated that the Fortune 500 companies are holding well over $1 trillion in cash. Like the mercantilist system it superseded, the capitalist economy has exhibited a tendency to serve the material interests of a relatively few people extremely well. Likewise, it has promoted the accumulation of money in large, unproductive pools. Ultimately, the well-being of even the wealthiest people is tied to the performance of the system. The performance of the system is maximized when money is kept circulating — the fundamental economic insight shared by Smith and Keynes.